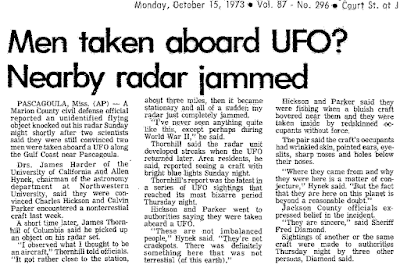 A Marion County civil defense official reported an Unidentified Flying Object knocked out his radar Sunday night, shortly after two scientists said they were still convinced two men were taken aboard a UFO along the Gulf Coast near Pascagoula. Drs. 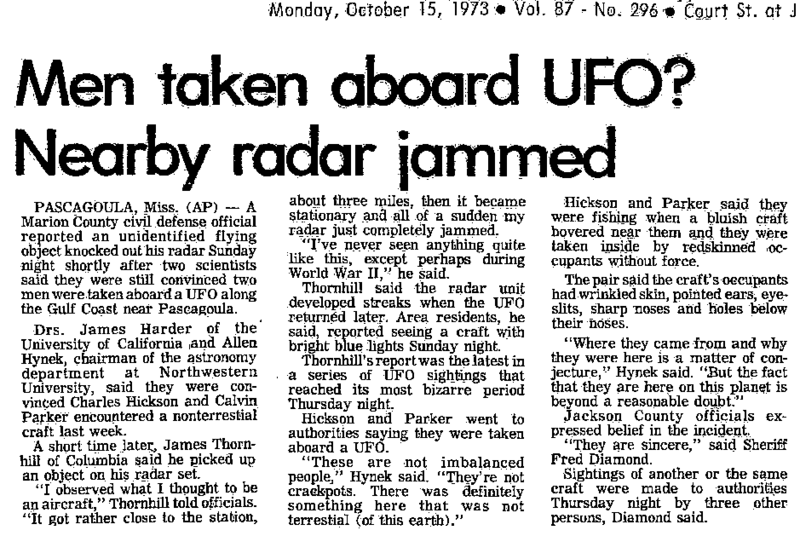 James Harder of the University of California and Allen Hynek, chairman at Northwestern University, said they were convinced Charles Hickson and Calvin Parker encountered a non-terrestrial craft last week.